Other than irritating flight attendants and pilots, I’ve never understood what reasons airlines and the FAA have for banning the use of gadgets like tablets or other devices during taxiing and take off. The aircrew always tells you put away your gadgets until the plane is at flight altitude, which is annoying when the chances of anything on the market today interfere with avionics is slim. The FAA is now saying that it’s ready to have another look at allowing gadgets such as the iPad to be used during all aspects of flight. 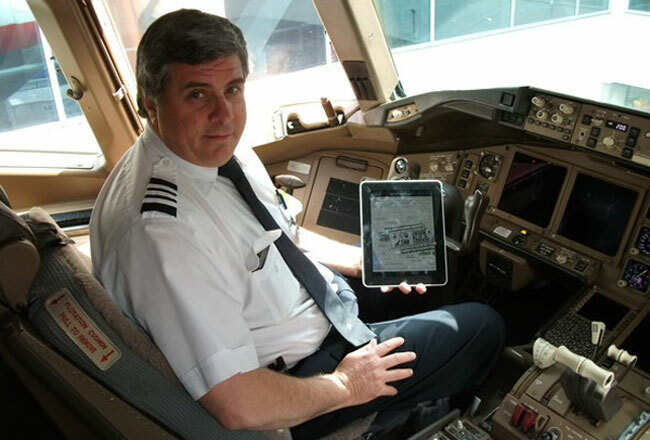 The FAA approved the iPad months ago for pilots to use in the cockpit in all aspects of flight. Freeing up pilots to use gadgets in the cockpit should mean passengers can do the same thing, but the FAA has to prove that. Do you think gadgets should be allowed to be used by passengers during all aspects of life? The FAA isn’t going to reconsider lifting a ban on cell phone use during flights though.